Sooo..Christmas is coming! Also to Athens ;) Decorations and preparations in our beautiful city have already started! This year the most important Square in Athens, Syntagma, is going to have a really unique and eco-friendly art piece. Most of the decorations will be made by children and students of Athens’ primary schools. Using only recycled material they will decorate the trees in the Square in their own way, so you can expect lots of creativity and spontaneity! On the 9th of December everything will be ready, at 6:00 pm the Mayor of Athens (Yorgos Kaminis) will officially announce the start of the Christmas Celebrations and all the festivities will begin! It means that for 1 month every day and night you will have a chance to enjoy lots of free shows prepared voluntarily by hundreds of musicians, actors, dancers and many other artists! Doesn’t it sound niiiiice? 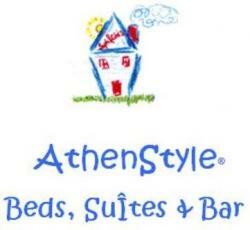 Come to Athens and enjoy! Merry Christmas Everybody!! !